The Vedic texts record the age-old oral teachings of the Eastern clerics whose teachings are believed to have their origins in Babylon. This Midheaven calculator calculates your midheaven sign based on the Western Astrology style. In tropical astrology, the aspects between each planet have an extraordinary influence upon an individual. The Divisional Charts are 16 different charts that focus on different parts of your life. This year is the year for you to start achieving your greatest success in life. The Panchang Astrology Calculator is a tool to use to find your good luck. 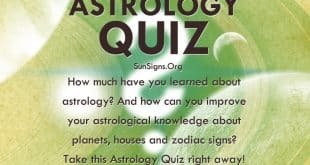 Sidereal Astrology House Lords affect your life in specific ways depending upon where they are located in the natal chart. The manglik matching analyzer can provide you with the best life partner if you have been found to be manglik in your astrology chart. The Nakshatra reading appears to provide a basic outline of personality based on the locations of the planets in relation to the moon at your time of birth. The Rahu Kaal is an astrological calculation that helps to determine the least favorable time of the day for work and new endeavors. Tithi calculations are designed to help you find the best time to undertake an activity or task.